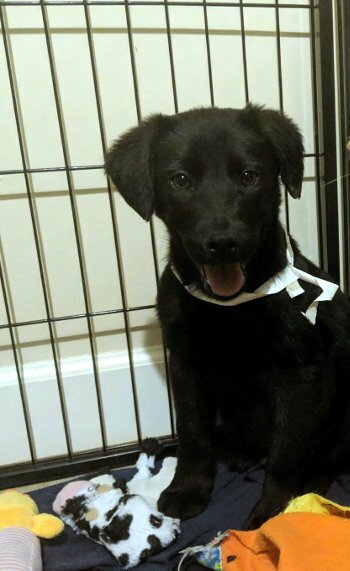 Zack is an adorable 5-6 month old Border Collie/Black Lab mix! He came into a kill shelter in SC and though initially quite scared, he has blossomed in foster care and is showing his true personality now. This smart guy is almost completely house trained, comes when called, and is working on his basic commands. Zack has a blast playing with his canine friends and is respectful of his feline friends. With his wagging tail and precious smile, he will bring so much joy to a lucky family!